Love it or hate it, there’s no denying that Valentine’s Day is just around the corner. While I don’t have a special someone, I still love Valentine’s Day. In fact, every year I draw a heart around the date on my calendar. To me, Valentine’s Day is a time to show you care. It’s also a chance to decorate and eat a ton of delicious candy. What could be better? 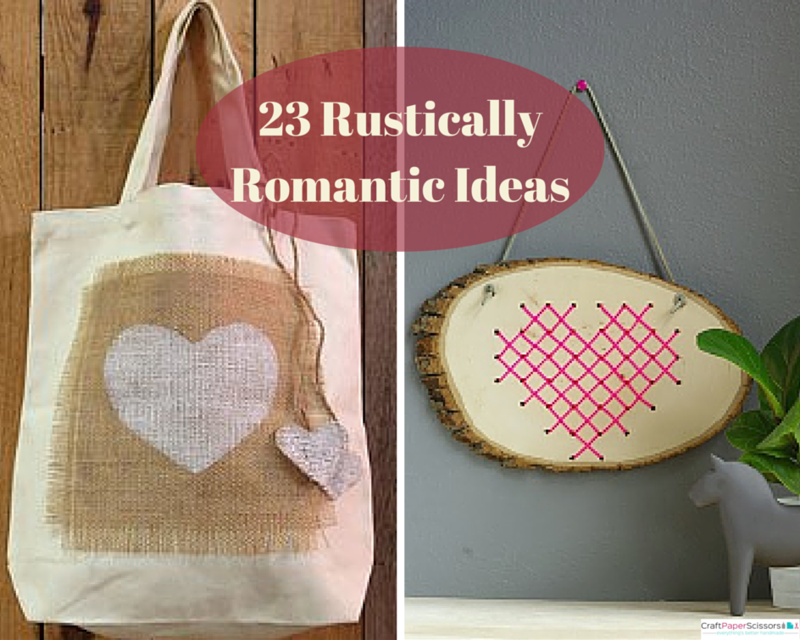 There are plenty of projects that can satisfy your creativity before and after Valentine’s Day. 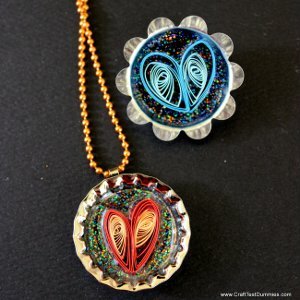 A Wired Heart is a fun, unexpected project that can be displayed all year. Since Valentine’s Day occurs during a chilly season, you might want a taste of the outdoors. A Valentine’s Day Topiary allows you to celebrate without heading into the cold. Hearts are the true symbol of Valentine’s Day, but they can used in art projects all year long. A Chic Decorative Heart looks great in any room of the house. 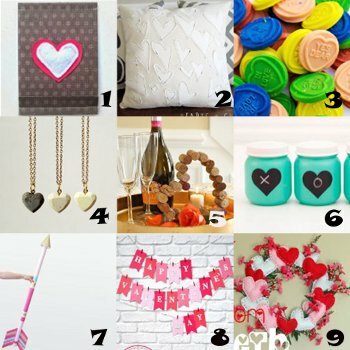 You don’t have to go crazy with red and pink supplies to celebrate Valentine’s Day. 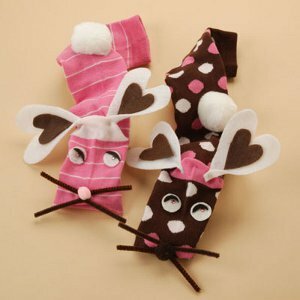 In fact, simply making crafts in the shape of hearts can be a fun and easy way to decorate. 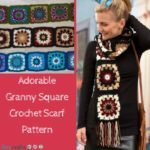 Best of all, when you think outside the box and use unexpected materials and colors, your crafts become much more practical. 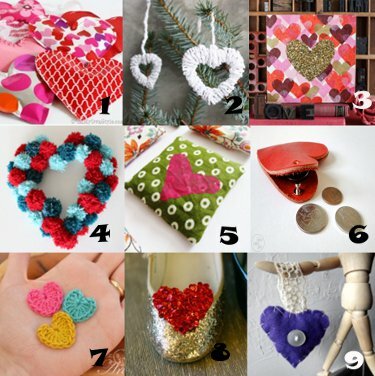 You can wear sparkly heart-shaped shoe clips or use a heart-shaped coin wallet all year long. I promised you last week that I’d bring you even more Valentine’s Day goodness in this week’s Link Love installment, and boy did I deliver! 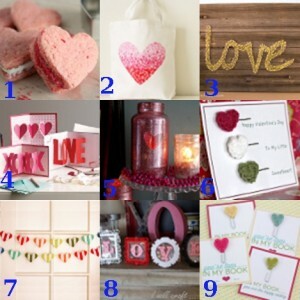 In fact, I found so many cute Valentine craft ideas that I think I’ll just have to give you more next week. 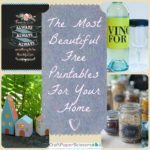 See my faves below, and check back next Thursday for more! Make a reverse applique Valentine’s Day skirt for a little girl from Craftiness is Not Optional. 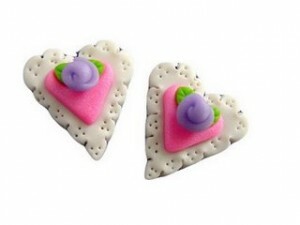 Conversation hearts might not taste very good, but they’re an adorable embellishment on this frame from Simply Crafty. Knit these gloves with love from Woman’s Day and give them to a loved one. Dollhouse Bake Shop made these edible Valentine’s Day teddy bears to attach to your homemade cards! There were red sequin hearts in last week’s post, and now Rae Gun Ramblings has a headband project to use up your leftovers. 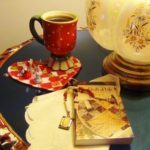 Turn that old romance novel into something truly romantic–a Valentine for your Valentine–from Sassy Style. 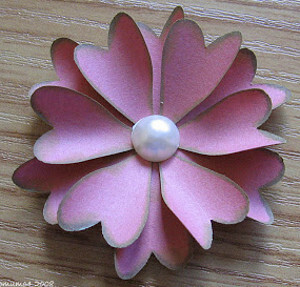 Here’s another lovely piece of specimen art from My Garden of Eden, using dollar store supplies! 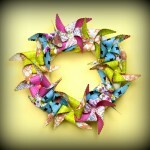 This beautiful, flowery tissue paper wreath comes with a sweet tutorial at Thrifty Decorating. 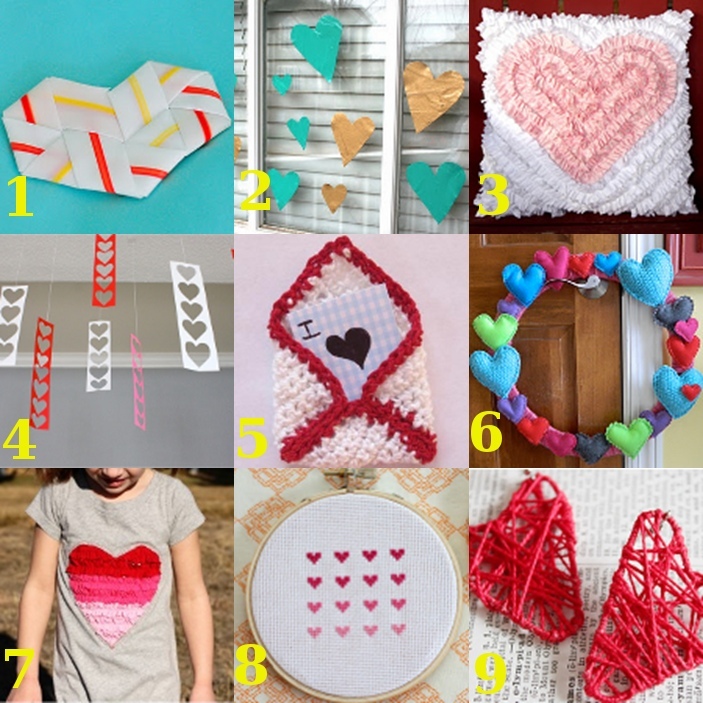 Everyday Art shows you how to make stitched Valentines, a project that even kids can do. Candy Cane Hearts– This is really more for a topper to a gift or another craft. If you have any leftover candy canes from Christmas-time then you can get crafty with them. Keep them in its wrapper and make them into the shape of a heart. You can then tape the two ends together so they’ll stay in that shape. It’s really cute to put on top of your wrapped gift, it’s just a little extra embellishment. Egg Carton Heart– Now we’re really getting crafty and recycling at the same time. 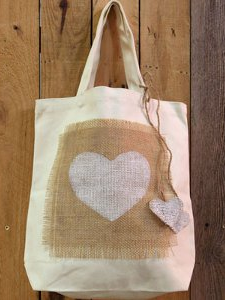 Help save the environment with this Valentine heart craft. 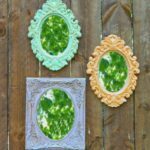 All you need is a paper egg carton, not the styrofoam kind, pink, purple or red paint, cardstock and a larger frame. 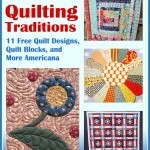 This is such an easy craft to make you have no idea. All you need to do is cut the bottom of the egg holders so each edge is the same height and they sit nicely. You can cut them each apart so they’re their own holder. You then paint them whatever color you chose; pink, red or purple. 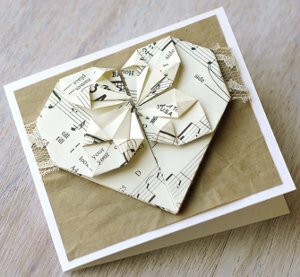 Once it is dry you can glue the cartons on the cardstock in the shape of a heart. Once the glue is dry you can then paint in between each holder so it all flows nicely. Again, once everything is dry, probably best if it sits overnight, you can put it inside a large frame and get ready to hang it. 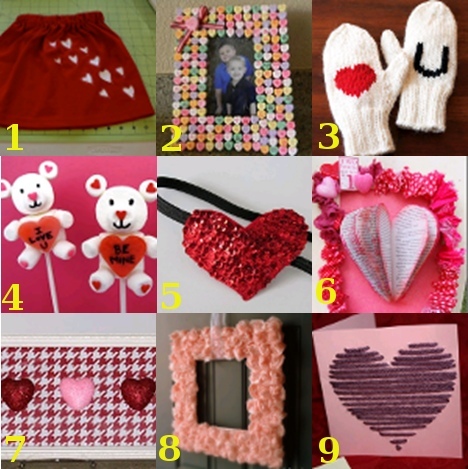 This is a great Valentine heart craft that can be brought out every year. 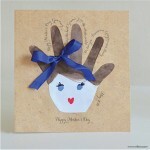 Valentine Butterfly– This is more for the kids to help out with, but it’s great for their imaginations. This can really be made any way you want. I think the easiest would be to use foam shapes. You want four heart-shaped foam pieces, two big ones and two small ones. You also want two decently small heart shapes for the antennae, some pipe cleaners and googly eyes. Again, so easy to craft. First, you take your long oval shape foam piece and glue the heart wings on the back side. The larger hearts are for the lower wings and the smaller hearts are for the upper wings. Press firmly so the glue really sticks. You can then take your pipe cleaners and glue it to the back of the head part and then glue the smallest hearts on the pipe cleaner for the cute antennae. Let dry for a little bit before you glue the googly eyes on. That’s it! You now have a cute Valentine butterfly. You can add more foam shapes on the wings if you want or glitter to add a little glam. 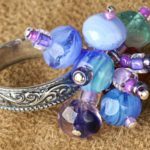 Just in time for Valentine’s Day, the super-talented polymer clay artist Marie Segal has shared a wonderful project with step-by-step photos for making these clay “Hearts of Many Dimensions.” With a little hardware, they become sweet Valentine earrings. I can also imagine these hanging as a garland or decorating gift boxes. 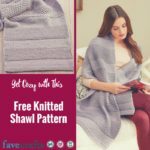 Check out the project at FaveCrafts.